Upon arrival, you will be welcomed by an English-speaking representative of Aratinga Tours and transferred to Hotel Bougainvillea, located in a nice neighborhood at the edge of San José. 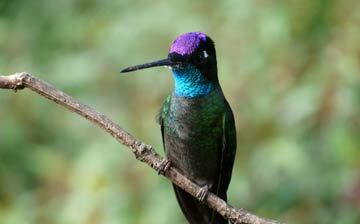 The well-maintained botanical gardens of the hotel offer a great introduction to birdwatching in Costa Rica. Here you can encounter some common species like Great Kiskadee, Rufous-tailed Hummingbird, Blue-gray Tanager, Palm Tanager and Blue-crowned Motmot. 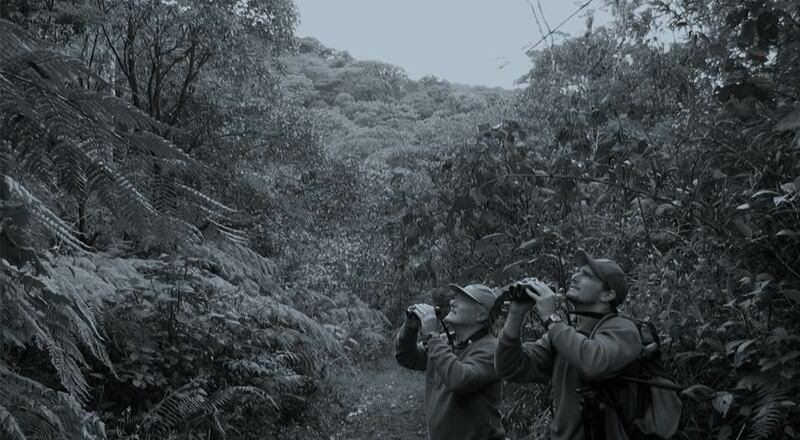 Birdwatching in Costa Rica is nowhere as relaxed as in Talari Mountain Lodge; the semi-open area of the gardens and surrounding shrubs and pasturelands makes the birds quite easy to see here. Talari Mountain Lodge is located in Rivas, at the Pacific foothills of the Talamanca mountain range around 800 masl. Fruit feeders attract some colorful tanagers that can be approached very well for bird photography like Green and Red-legged Honeycreepers and the beautiful Speckled Tanagers. On day 5 a private guided birding tour is scheduled in Los Cusingos, a small biological reserve and the former property of the legendary ornithologist Dr. Alexander Skutch. In Los Cusingos you will first explore the semi-open gardens and forest edge, the ideal place to spot the endangered Turqoise Cotinga and colorful Tanagers. Afterwards you will enter the rainforest in search of typical forest birds like Red-capped Manakin, Blue-crowned Manakin and Rufous Piha. The beautiful botanical garden of the Las Cruces biological station is another Costa Rica birding classic. The biological station offers simple clean bungalows with direct access to a botanical garden, good forest trails and a canopy observation tower, located in the outskirts of San Vito. Here you find yourself in the lush middle elevations montane forest of Southern Costa Rica, where many interesting endemic species can be found like Spot-crowned Euphonias, Snowy-bellied Hummingbirds and with some luck the endangered Turqoise Cotinga and White-crested Coquette. Besides that some birds that are hard to see elsewhere can be easily observed here like White-throated Thrush, Speckled Tanager, Crested Oropendola and Bran-colored Flycatcher. On day 7 you will be accompanied by a private local guide on a half day birding trip. 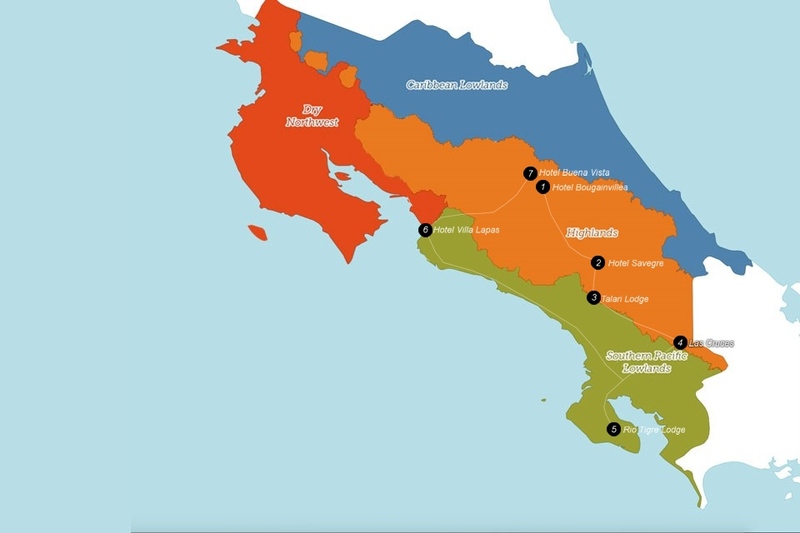 To end your Costa Rica birding tour in style you will spend your last days near Parque Nacional Carara, a beautiful piece of untouched nature protecting one of the last transitional forests between tropical dry and tropical wet forests. The result is an interesting and very diverse species mix with influences from both areas. Besides that Carara is one of the last places in Costa Rica with a healthy population of Scarlet Macaws. You will stay in Hotel Villa Lapas, conveniently located about 2 kms from Parque Nacional Carara. In the morning of day 12 a private local bird guide will join you in Carara NP in search of local specialities like Baird’s Trogon, Streak-chested Anptpitta and Royal Flycatcher. In the afternoon you will make a private boat-tour on the Tarcoles Rivier. First you will explore the open areas near the river mouth to observe Herons, Osperys, Common Black Hawks, Anhinga’s and Roseate Spoonbill; afterwards you will head towards the mangroves to look for Kingfishers (up to 5 species) and some true mangrove specialists like the endemic Mangrove Hummingbird (Costa Rica only ! ), Mangrove Warbler, Mangrove Vireo and Panama Flycatcher. You will go back to the Central Valley and stay your last night in the beautifull Hotel Buena Vista. Here you are in the middle of the coffee-plantations with a panoramic view of San José downtown. The hotels gardens attract some interesting bird species like White-eared Ground-sparrow, Plain Wren and Yellow-throated Euphonia. In the late afternoon you rencal car will be picked up in the hotel. The next day (day 14) you will be transferred to the airport. End of trip. All accomodations in double rooms with private bathroom.